Jamaica’s cultural life is rich and varied, with its own unique music, art, and cuisine. Jamaica’s lush vegetation, scenic mountaintops, clear waterfalls, and pristine beaches are among the highlights of this magical island. Jamaica is the third largest, and certainly one of the brightest, stars in the Caribbean constellation. Montego Bay (Mo Bay), along with Ocho Rios, are Jamaica’s north-coast pleasure capitals. The region’s appearance in numerous Beach Boys’ tunes is now ancient history, but the fabulous beaches and resorts continue to enchant visitors and residents alike. Montego Bay is Jamaica’s second largest city, after the capital of Kingston, in terms of population, but is the undisputed tourist capital of the island. The city is divided into three parts: the city center, the hotel area, and the surrounding hills with their picturesque villas. The city streets of Montego Bay are crowded and lively: full of crafts and culture. The architecture is a mix of wood frame houses, Georgian design, and modern office buildings. Not far from the city center are the deep water piers where enthusiastic passengers disembark daily from visiting cruise ships. Montego Bay offers attractions that are both natural and manmade. The most famous of its beaches is the Doctor’s Cave beach. The beach is said to be fed by healing mineral springs, and it has some of the clearest and most sparkling water to be found at any beach in the world. Visitors will also want to tour the local rum-producing estates for a taste of Jamaica’s best. Just minutes away from the center of the city is the Barnett Estate Plantation, home of the oldest plantation family in Jamaica. The Belvedere Estate is also nearby. 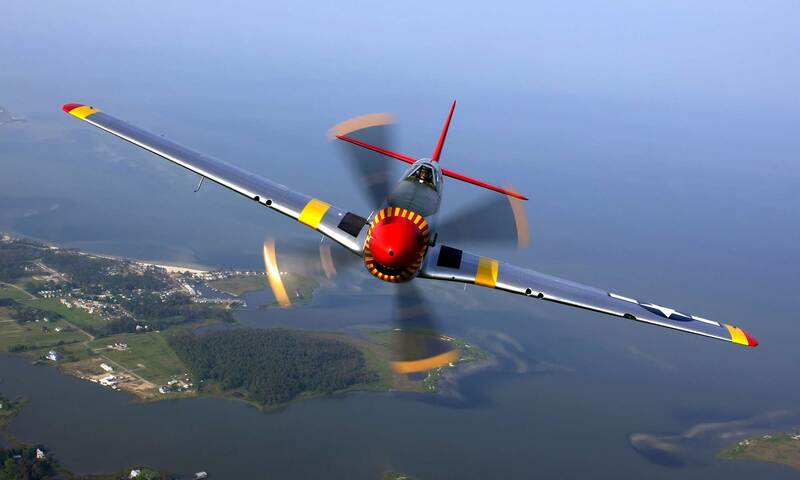 It encompasses thousands of acres, and is still in operation. An evening on the Great River is an experience not to be missed. The evening boat rides along the river’s torch-lit banks are spectacular. Montego Bay’s world-famous beaches attract thousands every year. Some seek solitude in a phenomenal setting; others are attracted to the feeling of romance and excitement that pulses through the island’s air. The sun shines on Montego Bay, inviting visitors to experience the vacation of a lifetime. Jamaica and the rest of the Caribbean archipelago are part of a mountain range, which in prehistoric times probably formed a land bridge between what is now Mexico and Venezuela. The island is about the size of Connecticut. It is 146 miles long and from 22-58 miles wide. Many years ago, volcanoes thrust up from the ocean floor, forming Jamaica’s mountains, which reach up to 7,402 feet in height. The mountains, located in an east-to-west line in central Jamaica, contain more than 120 rivers and many waterfalls, as well as thermal springs. In the high mountains of the east, the landscape features semitropical rainforest and copses of mist-covered pines. The mountains are bordered on the north and east by a narrow coastal plain fringed with beaches. The flat, arid southern coastline reminds visitors of African savanna or Indian plains, whereas the moist, fertile North Coast slopes steeply from hills down to excellent beaches. Much of Jamaica is underlaid by limestone, so the landscape is dotted with dozens of caves that store large reservoirs of naturally filtered drinking water. The weather is perfect all year, and Jamaica is more and more a year-round destination. There is, however, a high season running roughly from mid-December through mid-April. Hotels charge their highest prices during this peak winter period, when visitors fleeing cold north winds crowd the island. Reservations should be made 2 to 3 months in advance for trips during the winter. At some hotels and resorts it is necessary to book a year ahead for Christmas holidays or February. Along the seashore, in Montego Bay and Ocho Rios, the island is naturally air-conditioned by northeasterly trade winds, and temperature variations are slight. Coastal readings average between 71°F and 88°F year-round. The island has two rainy seasons: May; and October – November. The Hurricane Season: The hurricane season, officially lasts from June 1 to November, but satellite weather forecasts generally give adequate warning several days in advance so that precautions can be taken. If you’re heading to Jamaica during the hurricane season, you can call your local branch of the National Weather Service (listed in your phone directory under the U.S. Department of Commerce) for a weather forecast or check The Weather Channel online. National Heroes Day (3rd Monday in October). A Word of Caution: Travelers to Jamaica should be aware that despite the widespread presence of ganja or marijuana, its use is illegal in Jamaica. Drug-sniffing dogs are employed at all airports, drug laws are strictly enforced, and penalties can include imprisonment. The most popular flights are from New York and Miami. Remember to reconfirm all flights no later than 72 hours before departure. Flying time from Miami is 1 1/4 hours; from Los Angeles, 5 1/2 hours; from Atlanta, 2 1/2 hours; from Dallas, 3 hours; from Chicago and New York, 3 1/2 hours; and from Toronto, 4 hours. Most cruise ships heading for Jamaica travel at night, arriving the next morning at the day’s port of call, perhaps Montego Bay or Ocho Rios. In port, passengers can go ashore for sightseeing, shopping, and a local meal. Prices vary widely. Currency: Jamaica has its own dollar, which is far less valuable than the U.S. dollar. In all monetary exchanges, determine which dollar unit is being quoted in the price, Jamaican or US. Driving in Jamaica — Drive on the left side of the road. Gas is measured by the imperial gallon (a British unit of measurement that’s about 25% more than a U.S. gal. ); most stations don’t accept credit cards. Your valid driver’s license from home is acceptable for short-term visits to Jamaica. A coastal route designated by an “A” plus a number encircles Jamaica. It’s well marked and easy to follow. More complicated are secondary roads, urban streets, and feeder roads, whose markings sometimes are infuriatingly unclear. Recognizing this problem, the Jamaica Tourist Board has issued one of the best maps of the island, the Discover Jamaica road map. It contains a detailed overview of the entire island, as well as blowups of Kingston, Montego Bay, Negril, Mandeville, Spanish Town, Port Antonio, and Ocho Rios; there’s also a very useful street index to Kingston. Get it from any Jamaica Tourist Board office or car-rental agency. Montego Bay: This is the number-one destination for all of Jamaica, appealing to the widest possible range of visitors. 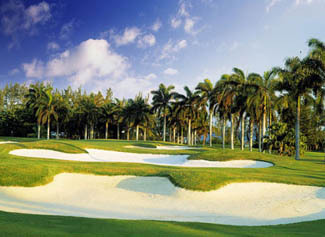 “Mo Bay,” as it’s known, has the best golf in the West Indies, and four of the largest resorts on the island; and duty-free shopping as well. This is about as far from rural Jamaica as you can get: The tourist dollar drives its economy. But it also boasts several attractions in its environs, including former great houses of plantations, decaying old towns such as Falmouth, and daylong adventures into remote Maroon Country. Negril: Situated near Jamaica’s relatively arid western tip, Negril’s Seven Mile Beach is one of the longest uninterrupted stretches of sand in the Caribbean. That beach, its laidback lifestyle, and its wild parties are the main attractions in Negril. The South Coast: The little-visited South Coast, lying east of Negril along the A2 (the road to Kingston), is undiscovered Jamaica, although it is becoming better known all the time. In contrast to the island’s lush, tropical image, this area is dry and arid. Hotels are few and far between, and they are frequently small, family run establishments. The chief draw is Treasure Beach, tucked away on the secluded coast. Mandeville: Located in south-central Jamaica, Mandeville is the country’s highest-altitude town and is built in a style strongly influenced by the British. It is now the center of the island’s noted coffee cultivation; a sense of slow-paced colonial charm remains a trademark of the town. Runaway Bay: Directly west of Ocho Rios is the satellite town of Runaway Bay, which boasts a handful of resorts opening onto some good beaches and has the distinct advantage of not being as populated by tourists as Ocho Rios. Port Antonio: The hub of eastern Jamaica, Port Antonio still basks in nostalgia. Frequently photographed for its Victorian/Caribbean architecture, it offers a change of pace from Negril, Ocho Rios, and Montego Bay. Beaches such as San San are among the most alluring in the country, and this is also a base for exploring some of the major attractions in Jamaica’s eastern region, including rafting on the Rio Grande River. Kingston & Spanish Town: Located on the southeast coast, Kingston is Jamaica’s capital, largest city, and principal port. It is a cosmopolitan city with approximately 750,000 residents in its metropolitan area and serves as the country’s economic, cultural, and government center. Residents proudly call it the world’s reggae capital, as well. Twenty minutes west of Kingston by car is Spanish Town, a slow-paced village containing the Cathedral of St. James. Port Royal: once an infamous hideout for pirates and renegades. The Blue Mountains: A land of soaring peaks and deep valleys with luxuriant vegetation, the Blue Mountain range rises to the north of Kingston. Mountain roads wind and dip, and are in bad repair. Tours from Kingston are a safer bet. You can book tours throughout this region of coffee plantations and rum factories. Maintained by the government, the prime part of the mountain range is the 192-acre Blue Mountain-John Crow Mountain National Park. The Appleton Express is an air-conditioned bus that travels from Mo Bay to the Appleton Rum Distillery on the south side of the island. (If you traveled to Jamaica a decade ago, you may remember that the Appleton Express was formerly a train that took day-trippers across the island. There is a tour of the distillery, and every visitor gets a complimentary bottle; children get soft drinks. The tour also makes a stop at Ipswich Caves. “Barnett” and “Jarrett” are names well known on the island. Still among Jamaica’s most powerful families, the Barnetts and Jarretts were plantation owners and have owned land for many generations. Today, a visit to the Barnett Estate offers a look back at the past to the days when this land grew everything from sugarcane to coconuts. You can take a one-hour horseback tour of the estate or a guided tour by a costumed docent. This plantation tour is one of the island’s best. This restored historic house is open to visitors, with guided tours available before or after dinner. Located on the 3,000-acre Barnett Estate near Montego Bay, the site is also home to the Belfield 1797 restaurant, operated by Elegant Resorts International. Look back at the plantation days with this heritage tour. Belvedere was one of the first estates to be burned during the 1831 Christmas Rebellion, so today most of the sites on the plantation are ruins or reconstructed. The uprising brought about the end of slavery in 1838. Tours include a look at the ruins of the great house, dating back to the early 1800s, the ruins of a sugar factory, a horse-drawn sugar mill and herb garden. Belvedere is staffed by many craftspeople in period costume. Visitors can watch a blacksmith at work, see a bakery using a clay oven, talk with an herbalist in a wattle and daub house and see a canoe-maker carving the trunk of a cottonwood tree. Also on site is the Trash House Restaurant and Bar (where the sugarcane trash was once stored). Lunch is served daily and visitors can picnic on the grounds. Cinammon Hill on the North Coast Highway is presently the home of country singer Johnny Cash, who spends quite a bit of time on the island and has done charitable work in Jamaica. Cinammon Hill, located near Greenwood Great House, was the birthplace of Edward Moulton Barrett, Elizabeth Barrett Browning’s father. This 132-acre working pineapple and coffee plantation offers half-day estate tours. The property was the birthplace of Samuel Sharpe, a national hero on this island. Sharpe led a slave rebellion in 1831 that helped bring about the abolition of slavery. You can learn about the preparation of coffee, honey, pineapples and more. This was once the home of the Barrett family (as in Elizabeth Barrett Browning). Tours include a look at the finery enjoyed by the plantation families. Like Rose Hall (below), Greenwood is a reminder of the turbulent period in Jamaica’s history when wealthy plantation owners lived in luxury thanks to the profits of the slave labor used to power sugar plantations. Rose Hall is the best-known great house in the country and is an easy afternoon visit from Montego Bay. This was once the home of the notorious Annie Palmer, better known as the White Witch. Guided tours take you to the ballroom, dining room, and Annie’s bedroom and grave. The gift shop displays photographs of what many believe are ghostly apparitions in the bedrooms of Rose Hall. As the story goes, Annie was born in 1802 in England to an English mother and Irish father. At the age of 10, her family moved to Haiti, and soon her parents died of yellow fever. Annie was adopted by a Haitian voodoo priestess and became skilled in the practice of voodoo. Annie moved to Jamaica, married, and built Rose Hall, an enormous plantation spanning 6,600 acres with over 2,000 slaves. According to legend, Annie murdered several of her husbands and her slave lovers. To learn more about the tales of Rose Hall, read the novel, The White Witch of Rose Hall, which you’ll find in gift shops around the island. This new attraction features a 68-seat theater where you can watch a documentary on the life and works of reggae great Bob Marley. The film runs several times daily. The largest part of the attraction is a huge shop filled with Marley memorabilia – CDs, books, T-shirts. The shop claims to have the largest collection of Marley gifts in the Caribbean. Jamaica’s first national park, protects the beautiful reef fish, corals, turtles and other marine creatures and their spectacular “underwater rainforest” habitats of coral reefs, seagrass beds and mangroves. Go sailing with Calico pirate style on the blue waters of Mo-Bay, aboard an old wooden sailing ship. A Day trip includes snorkeling, lunch and drinks. Sunset Cruises are also available. This working plantation offers to visitors a wealth of knowledge and history about Jamaican life in the rural areas. There are interesting insights in coffee cultivation and processing. Samples of exotic fresh fruit, fruit juices and fruit drinks are available. Unusual fruits like: Carambola, Oneca, Otahiti apples and Passion fruit are available during season. is a one of a kind beach park located at the Walter Fletcher Beach on Montego Bay’s “Hip Strip”. AguaSol features a large white sand beach, MoBay 500, a new go-cart racing course, Kiddies snack bar, Voyage Sports Bar and Grill, 42 large screen satellite television sets, Coordinated beach activities, Games, Table tennis, Water sports, a gift shop, and a discotheque at night. The Barnett Estates showcases a captivating tour that is led by guides in period costume. The guides are unique in that they recite period poetry and sing period songs. The Estate is still active and grows coconut, mango, and sugarcane on most of its 3,000 acres. Samples are offered to those who join the optional plantation tour by horseback. All day excursions are offered on Tuesdays, Thursdays and Saturdays to Cockpit Country, the mountain home of the Maroons, runaway slaves who defeated the British to gain their independence. This tour provides a fascinating historical, educational and cultural journey! Buffet lunch and beverages are served. 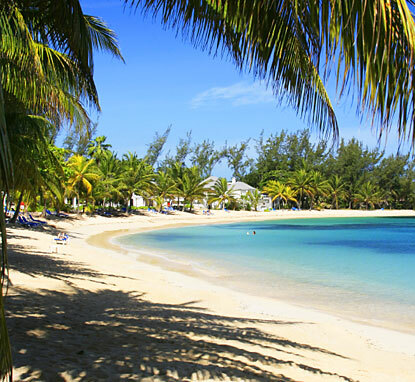 The most well-known and famous beach in Montego Bay is the Doctor’s Cave Beach Bathing Club. Visitors can enjoy the brilliant waters and smooth beaches. This beach was named after the James Bond movie” Dr No”. It is a favorite of locals and tourists alike. Ian Fleming, the author of the 007 legend, is said to have come here regularly for a swim. The beach also features many restaurants and bars. Glass bottom boats, kayaks, wave runners and snorkeling facilities can also be found here. Explore Montego Bay’s marine sanctuary aboard the most advanced vessel of its kind. Panoramic underwater view of the marine environment, colorful coral reefs, exotic tropical fish and other sea life. Air-conditioned cabin holds 53 passengers, live and educational narration by marine experts. At Rocky Point Riding Stables visitors can enjoy a variety of equestrian activities, from riding lessons to adventurous trail rides. White sand, picnic areas, hammocks, bars, dining pavilion, kitchens, gift shop, a stage, showers, changing rooms and other amenities, CPR trained Lifeguards and staff. A place one dreams of. Relax, swim, sail, water-ski, jet-ski, many watersports equipment and beach games. Frozen tropical delights, sumptuous food and all-inclusive picnics! Accompong Maroon Festival, St. Elizabeth. Annual celebration of Maroons of Western Jamaica, with traditional singing and dancing, feasts, ceremonies, blowing of the abeng (cow’s horn), playing of Maroon drums. 876/952-4546. January 6. Jamaica Sprint Triathlon, Negril. Hundreds participate in a three-part competition joining swimming, cycling, and running in one sweat-inducing endurance test. Contact the Jamaica Tourist Board. Late January. Tribute to Bob Marley-Symposium in Music, Ocho Rios. Seminars for students of music. 876/926-5726. First week in February. Bob Marley Birthday Bash, Montego Bay. An annual concert that celebrates a local star. 876/978-2991. February 6. Reggae Summerfest, Ocho Rios. Annual reggae bash, featuring top reggae stars. Call 876/960-1904 for dates. Carnival in Jamaica, Kingston, Ocho Rios, and Montego Bay. Weeklong series of fetes, concerts, and street parades. Contact local tourist offices. First week of April. Ocho Rios Jazz Festival, Ocho Rios and Montego Bay. International performers play alongside Jamaican jazz artists; other events include barbecues. 888/637-8111 or 876/927-3544 (www.ochoriosjazz.com). Second week in June. National Dance Theatre Company’s Season of Dance, Kingston. Traditional and modern dance, as well as notable singers. 876/926-6129. June through August. Reggae Sunfest, Catherine Hall, Montego Bay. Annual 5-day music festival. 876/952-0889 (www.reggaesumfest.com). First week of August. Falmouth Blue Marlin Tournament, Montego Bay. Very popular locally. 876/954-5934. Late September. Air Jamaica Jazz & Blues Festival, Montego Bay. Series of concerts at Rose Hall Great House. 876/952-4425. Third week of November. Motor Sports Championship Series, Dover Raceway, St. Ann. Prestigious championship event. 876/960-3860. Early December.